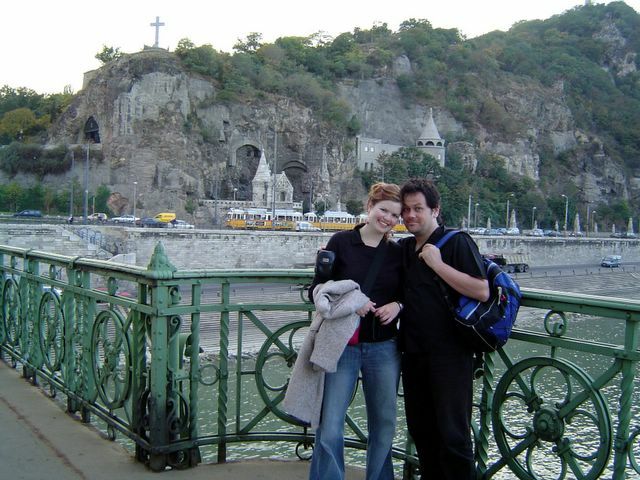 Now because I've downloaded the relevant programs to post photos...and because I feel guilty about the whole Mr Thornton thing...he's a picture of Greg and I in Budapest. We're on a bridge halfway across the Danube. Behind us is the Buda side of town. The hole in the rock below the cross is the entry to a chapel, run by Polish priests. It's a funny old place, is Hungary!